Are you looking for tablet repair? It doesn’t matter if it is an iPad, Kindle Fire or any other type of tablet; it is definitely frustrating whenever it stops working. 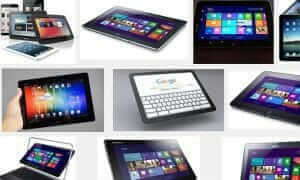 As an owner of a tablet I know you understand the ease of use and how convenient they are for travel. Before deciding which option to use to repair your tablet, keep in mind that your warranty should dictate your next course of action. Accidents are inevitable and can occur at any time no matter how careful you are. Some of the common damages that might need tablet repair include cracked screens, buttons not working, and power issues among others. Every new tablet purchase should come with an extended warranty offer. If you choose the warranty, take advantage of it and contact the company for your repairs. In the case of not having an extended warranty, all tablet manufacturing companies usually provide a one year limited warranty. You’ll need to read through the terms and conditions to get an idea of what is covered. If your particular issue is covered, then contact the manufacturer to get your tablet repaired. When your warranty options will not cover the damage then you’ll need to consider hiring a tablet repair professional. Please be sure to avoid giving your tablet to an amateur. This could result in additional costs and damages, and will only leave you further frustrated. When choosing a company to repair your tablet the first thing you should consider is the qualifications and certifications of the company or the person that is going to repair the tablet. You’ll also want to check on the experience the company has in the related field. This is the only way to know that your tablet is in good hands and that its previous working conditions will be truly restored. Reading reviews about a company will also help shed some light and give you peace of mind. There are many online review sites which consumers visit to post their personal experiences with a particular company. Of course, you’ll also want to visit the company’s website to test their customer support service. Never ship your tablet to a company without first having a conversation with them either via phone, in person or email. Simply follow these tablet repair guidelines and you’ll have your tablet back in working condition in no time. Contact a local tablet repair company today.